This all-in-one service station is truly full serve! 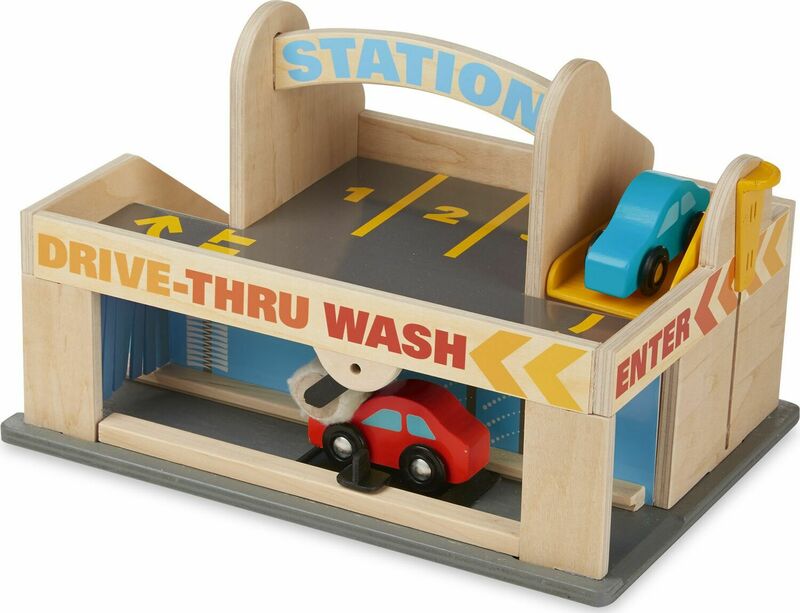 Park the two included wooden cars in the parking garage with movable elevator or pull them through the car wash. Don't forget to fill up at the gas pump before getting the cars serviced at the garage with sliding doors. 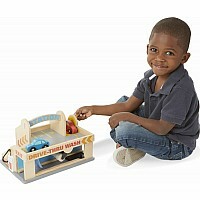 This play set for ages 3+ encourages fine motor skills, hand-eye coordination, problem solving, and imaginative play. The built-in handle makes it the perfect take-along toy! Measures approximately: 8.50 x 8.50 x 12.00 inches..